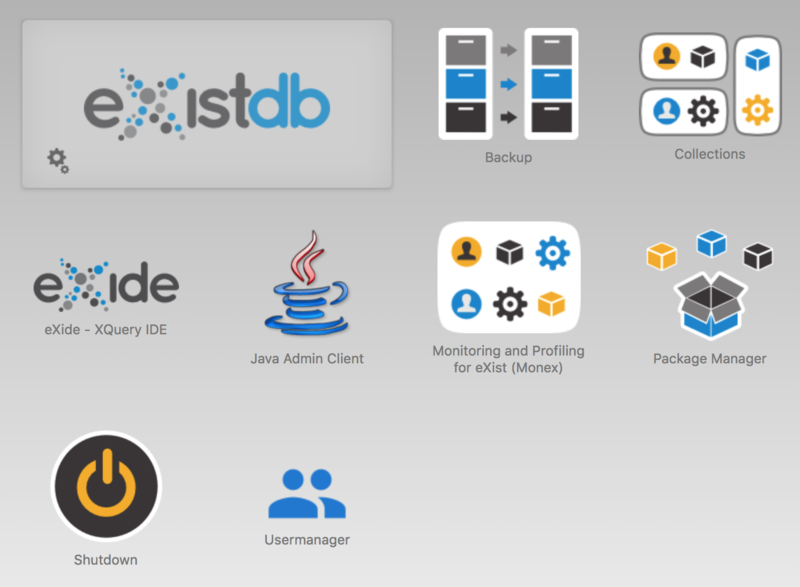 This post shows How-to setup a development environment for an eXist database. A minimal non-invasive setup with Docker Compose. We choose the official image created from evolvedbinary/docker-existdb. You are ready to test-drive the database without installing any files into your regular development environment. Note: If your local port 8080 is already in use please change the part 127.0.0.1:8080 as follows 127.0.0.1:<free port>. Browse to http://localhost:8080/ or whatever port you have chosen. Note: Default username and password is admin with an empty password. Since all data is stored inside the container, every time you recreate your eXist database you'll lose all your data and configuration. Just in case: There is a valuable Troubleshooting guide available. If you are serious about working with eXist you may want to add the book “eXist” to your (physical) library.